Move over Donald Trump, there’s a new wild card in the the US presidential race. The founder of security software firm McAfee is ready to take a seat in the Oval Office. 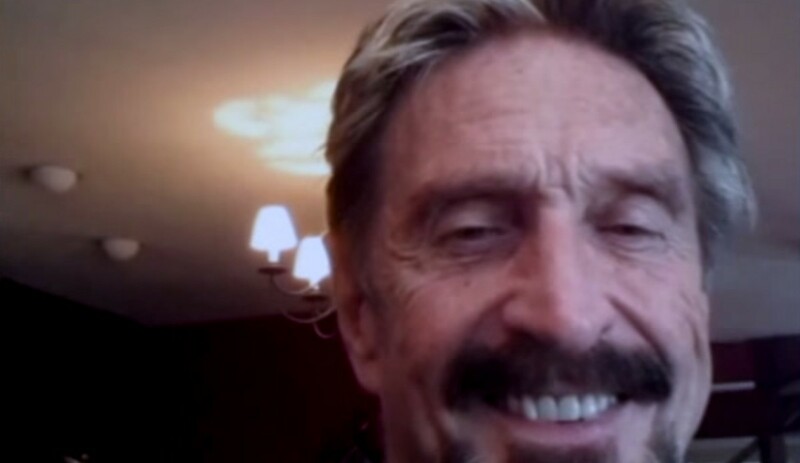 In paperwork filed with the Federal Election Commission on Tuesday, the eccentric John McAfee stated that he will likely run for office and is founding a new party. Speaking on The Alex Jones Channel show, McAfee said that he will take a final decision in the next 48 hours. In a recent interview with Wired, McAfee made known his belief that the government doesn’t understand technology as well as he does, pointing to incidents like the recent federal data breach that saw over 21 million social security numbers exposed. McAfee is also staunchly against the US government’s stance on requiring tech companies like Apple and Google to create backdoors into their systems to enable intelligence and law enforcement agencies to listen in on users’ communications. Thompson says that McAfee is expected to issue a statement with more information today. Hopefully he’ll find time to do so between rounds of Russian roulette and crossing borders illegally.